I thank Barry Griffiths of Quest Nature Tours for selecting me to lead a five-day land tour in Costa Rica followed by an adventure cruise on the Pacific Explorer to Costa Rica and Panama. Also, I thank participants for their energy, enthusiasm and good spotting. Our naturalist guides on land and on the ship were fantastic. See links below to six pages of photos from two Quest tours, and three pages from my own Panama tour. Scroll down for nine photos, then go to page 2. 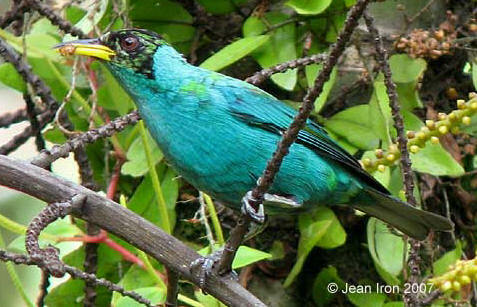 Male Green Honeycreeper acquiring its black head at Selva Verde on 13 March 2007. 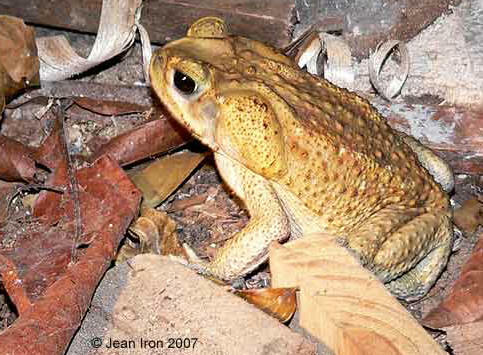 Cane or Marine Toad at Selva Verde on 13 March 2007. 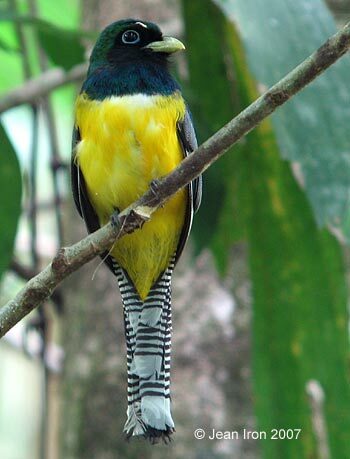 Male Violaceous Trogon at La Selva on 13 March 2007. 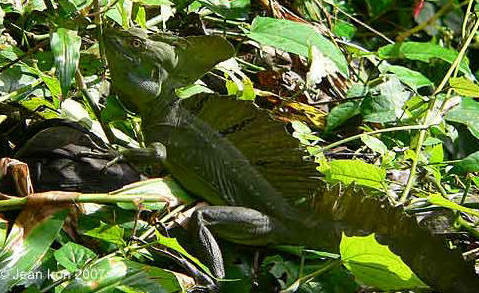 Emerald Basilisk at La Selva on 13 March 2007. 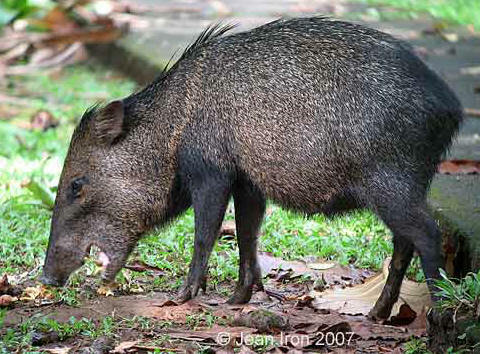 Collared Peccary at La Selva on 13 March 2007. 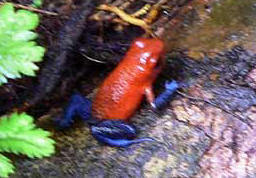 Harlequin Dart Frog at Selva Verde on 13 March 2007. 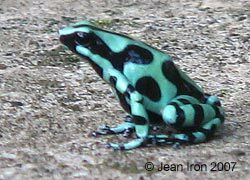 Blue Jeans Dart Frog at La Selva on 13 March 2007. 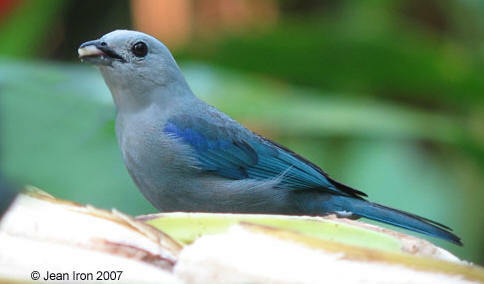 Male Blue-gray Tanager at the feeder at Selva Verde, 13 March 2007. 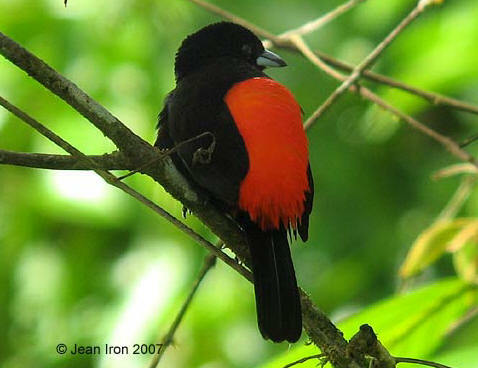 Male Passerini's Tanager with a bright red rump at La Selva on 13 March 2007.